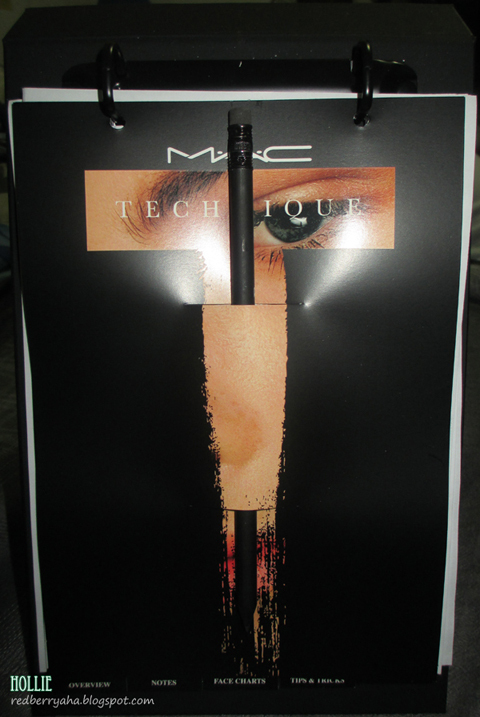 I was lucky enough to have been invited to experience the first ever Mac Technique event held here in Cebu last February 19, 2013 at the Marriot Hotel. 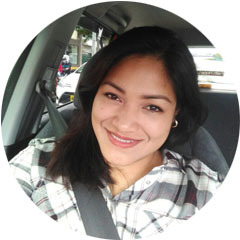 Mac Technique is where we get to see and learn first hand some of the tips and tricks from a certified Mac Cosmetics Makeup Artist. 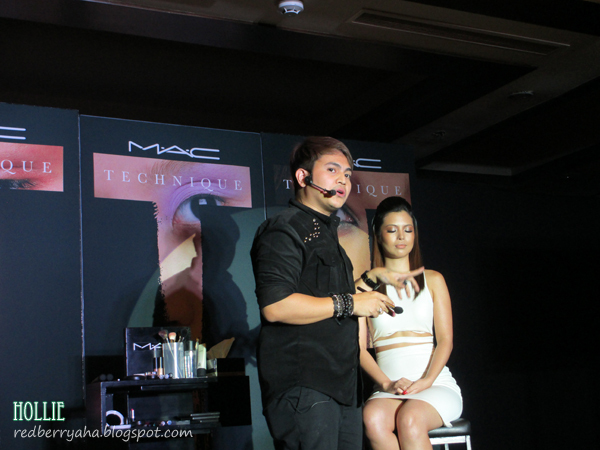 In this event, we got the chance to learn it from Mac Philippines Head Makeup Artist, Owen Sarmiento. The looks presented where created by Mac Makeup Artists for Fashion Week Spring 2013. There are four looks for Spring 2013 and two of them were shown during Mac Technique. The model on the left had the psychedelic inspired look, where only one or two parts of the face has a pop of color. In this case, the model had a pop of blue on her lower lash line and a hot pink lipstick. The model on the right had the puri-tan inspired look, where only neutrals and brown shades were used. 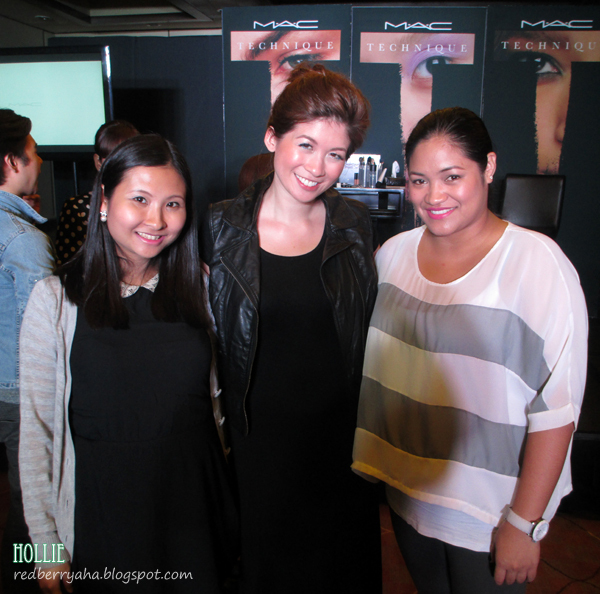 With Kirsten Brito in the middle, she's the PR & AR Executive for Mac Philippines. Of course I didn't come home empty handed. 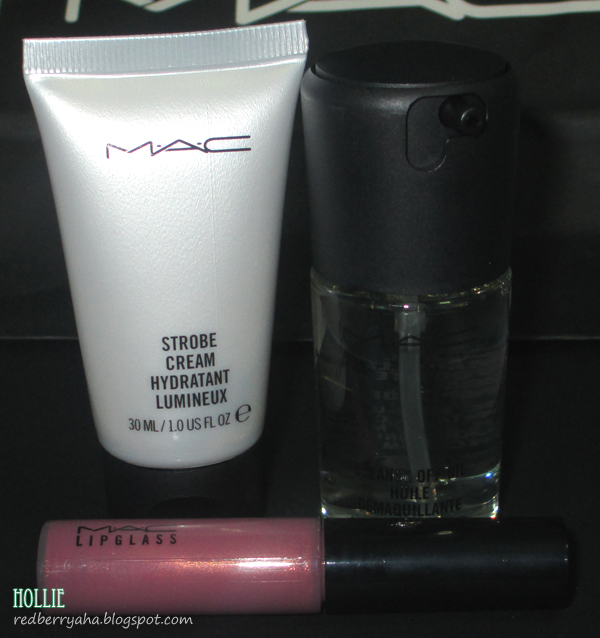 more Mac goodies yay! You all are looking awesome in the above pictures. 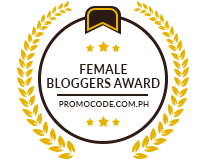 oohhh lucky you to be able to attend such an event!! i adore mac eyeshadows and concealers so much!!! You're so lucky, girl! 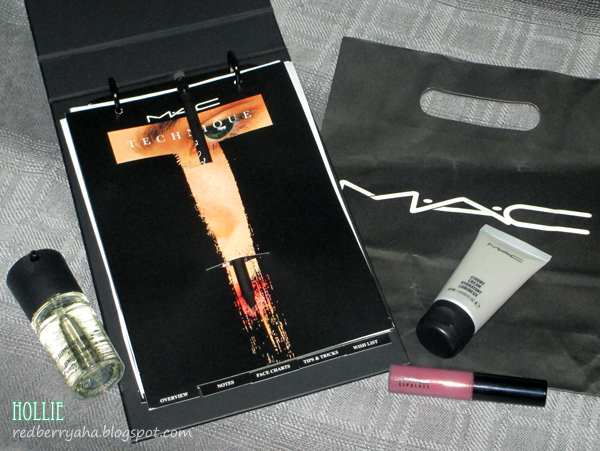 :) I adore those Mac Products too. There mack up looks so pretty! I wish I had my own make up artist walking with me and always doing touch ups!